Vinyl flooring can be laid in all rooms, but typically areas where there is water. Bathrooms and kitchens are the most popular as vinyl is water proof and also comes in slip resistant ranges as well.Vinyls are easily cleaned and are a good hygienic floor of choice. 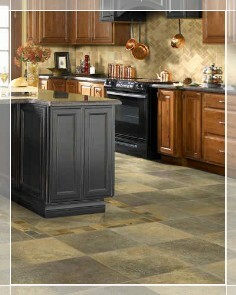 Right Carpets & Flooring supplies a wide range of quality vinyl flooring from reputable manufacturers. Our fitters are highly trained experts in their field with many, many years experience in fitting quality vinyl.